The best way to eliminate the stress associated with planning for the holiday season is to get the ball rolling early. This just means don’t wait until the last minute. When you want to make Christmas an enjoyable experience for yourself and your family, a little bit of forethought really does go a long way. Not only will it help make things easier for you, but your family will appreciate it if you are not all stressed out by waiting until the last minute to do the things that could have been done earlier. When you start thinking about Christmas a couple of months early, you’ll be able to keep an eye out for great deals and promotions ahead of time. Plus, when you have a holiday game plan in October and divide out the biggest tasks well in advance, you’ll be able to enjoy the season and all the festivities without rushing around last minute. Being calm and relaxed is a blessing in disguise vs. panicking at the last minute which is certainly something that could happen. When you have a step-by-step plan of action, getting through the planning and shopping aspects of the Christmas season will be simpler and less stressful. This can only happen, however, if you plan in advance. 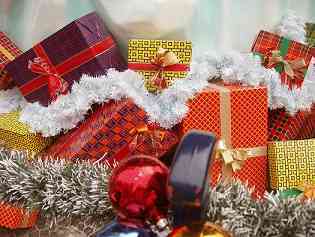 A bonus for picking up your gifts early could be less waiting in lines and more availability of the gifts you want. If you wait until the last minute you could be faced with out of stock problems or compromises on the gifts you really wanted to give due to other shoppers getting them before you. Create your budget early. 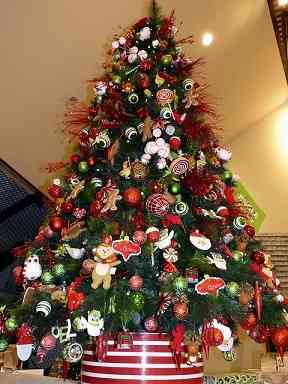 A solid spending plan will contribute heavily to a stress-free and debt-friendly Christmas. Begin your seasonal planning by looking over your finances and determining how much you can really afford to spend. Don’t cheat, be honest with yourself. This budget will carry you through the holiday season and into the New Year. Create a gift list. Create a list including everyone you plan to give a gift or present to and compare it to your gift-giving budget. Set a spending limit for each person on your list and trim your list if your budget cannot support it. Jot down a few gift ideas for each person and compare them to your budget before you start shopping. Go back over your budget. As the weeks go by, keep track of your holiday spending. How does this stack up against your budget? How much money do you have left? Is your budget currently on track? Are you in danger of overspending? Start shopping early. The earlier you shop, the more time you’ll have to find the right budget-friendly gifts. This will allow you to search for sales and bargains for the gifts you intend to give. If you want a budget-friendly holiday shopping experience, be ready to shop around, comparison shop, and use coupons throughout the holiday season. Address all aspects of the holiday season in your budget, including gift giving, entertainment, food, greeting cards, and anything else you need. This will ensure that you don’t overspend in November or December. You might need to make adjustments to your budget as you go. That’s completely normal. If it turns out you will be short of money don’t raise the amount of money in your budget, just shift priorities as necessary to keep everything in line. Even if this is not your normal mode of shopping it can still be fun and even challenging to be able to find ways to save money on your gifts. Plan any parties early. Sometimes a lot of planning is required for Christmas get-togethers. Plan early and address your plans as needed to ensure that everything falls into place. Create a budget and a step-by-step guide for planning the occasion. When it comes to the holiday season, planning and preparation can go a long way. Put some thought into the holiday season in October and you’ll be a lot better off in December. There’s no reason to get overwhelmed with the holiday planning process by waiting until the last moment. Avoid waiting until the last minute and get a jump on a stress-free, budget-friendly holiday season. 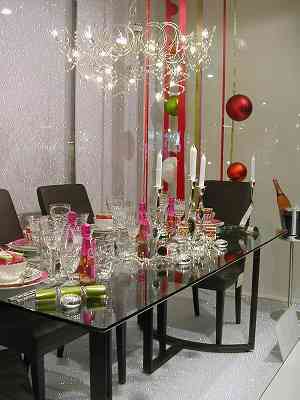 This is the best way to ensure that you can enjoy a leisurely, memorable Christmas with your family and friends.